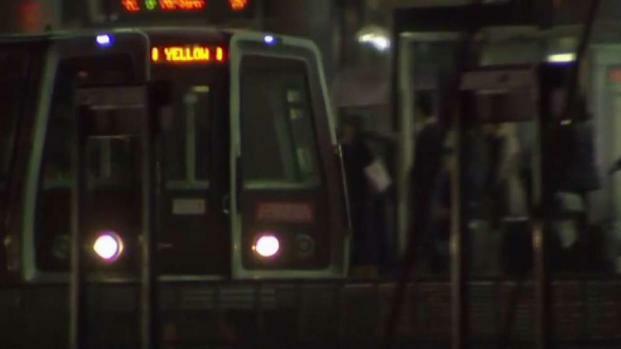 Service on Metro's Yellow Line returned Monday morning after repairs shut the busy line down for two weeks. The two-week closure allowed crews to complete repairs, especially around the Yellow Line bridge over the Potomac.Metro said the bridge was structurally sound, but the rails and tracks needed maintenance. Metro thanked riders for their patience on Twitter Monday morning. "The Yellow Line Bridge project is complete. We thank everyone for their patience over the last two weeks, allowing us to complete this necessary rebuilding work," the transit agency wrote. Metro's Yellow Line will shut down for two weeks for repairs. News4's Aimee Cho spoke to riders about the inconvenience.